It is a pleasure sharing a few words about my lovely daughter Name Visible on Login. She is a soft spoken and friendly girl who is capable of tackling all kinds of situations in life in the right spirit. Her optimistic personality is adored by one and all. She treats every person and relation delicately and with respect. Committed in her professional and personal spheres, she manages both the responsibilities with equal ease and aplomb.  During leisure, she enjoys reading, watching movies, listening to music and travelling to different places. She is also health conscious and goes to the gym regularly. Born and brought up in Guwahati, she did her schooling up to 10th standard in a convent school in Guwahati and intermediate studies from Kendriya Vidyalaya, Guwahati. Thereafter, she completed her Bachelors in Fashion Technology from Kolkata and Post Graduation in Marketing from T.A. Pai Management Institute, Manipal University. She has been working as a Manager with an MNC... more in Mumbai for the last one year. We are a close knit nuclear family. I am originally from North Bengal and presently settled in Guwahati. My wife is a Non Bengali (Assamese). My wife and I are working in the Central Government as Sr. Section Engineer and Sr. Executive respectively. Our younger son is pursuing B. Tech. A well settled and caring gentleman with a good academic and family background would be an ideal match for my daughter. Someone, preferably from Mumbai or Bangalore who will complement and complete her in the best possible way, would be desired. Note:- Though we are not very much interested on Horoscope matching but for those who are interested. We come from an upper middle class, nuclear family with moderate values. Our family lives in Guwahati. Both her father and mother are working professionals. She has 1 brother.